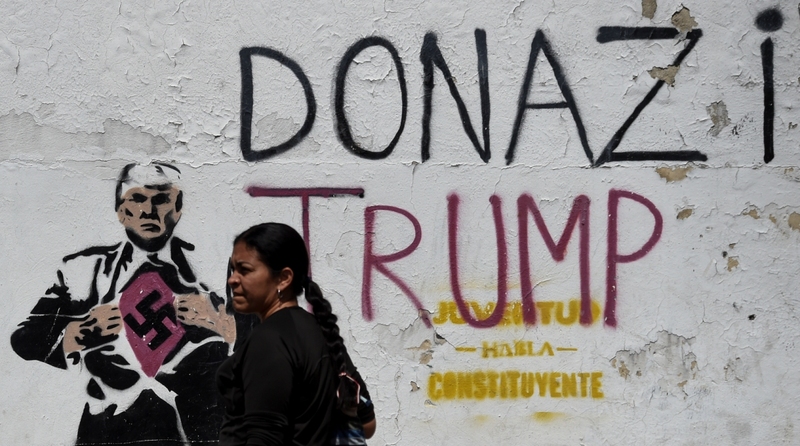 US President Donald Trump on Wednesday told Americans not to travel to Venezuela until further notice in the wake of the volatile political situation in the Latin American nation and the rising hostility between Caracas and Washington. In a tweet posted after Venezuelan President Nicolas Maduro expressed his willingness to talk to the country’s opposition in the presence of international mediators, the US President claimed that it was a result of Washington’s sanctions. “Maduro willing to negotiate with opposition in Venezuela following U.S. sanctions and the cutting off of oil revenues,” Trump wrote in a tweet. “Guaido (Juan Gerardo Guaidó Márquez) is being targeted by Venezuelan Supreme Court. Massive protest expected today. Americans should not travel to Venezuela until further notice,” he added. Trump’s warning comes a day after the US State Department issued travel advisory Level 4 telling citizens not to travel to the politically sensitive nation. “Political rallies and demonstrations occur, often with little notice. Demonstrations typically elicit a strong police and security force response that includes the use of tear gas, pepper spray, water cannons, and rubber bullets against participants and occasionally devolve into looting and vandalism,” the State Department said on Tuesday. Massive protests have engulfed Venezuela since last week when 35-year-old Guaido asserted authority as “acting President” of the country. Backed by the US, Guaido has been able to mobilise thousands of protesters on the streets of Venezuela against Maduro’s reign at his call. At least 700 people were detained in just one day of last week’s protest against the government led by Maduro. According to the UN human rights office the number is the highest in a single day in the country in at least 20 years. Guaido is a vocal opponent of Maduro, who he calls “a dictator”. Maduro, a socialist leader who succeeded Hugo Chavez, came back to power in a controversial May 2018 election which was rejected by the US and the European Union as well as the Organisation of American States. Facing the biggest challenge of his six-year rule, the 56-year-old socialist leader also said his armed forces remained loyal to him. On Tuesday, the country’s Supreme Court, which is loyal to Maduro, banned Guaido from leaving the country and froze his bank accounts. The opposition leader “is prohibited from leaving the country” until a preliminary probe is completed on the “harm causede to peace in the republic”, Justice Maikel Moreno said. As leader of the National Assembly, Guaido has immunity from prosecution unless subject to a ruling by the apex court. In an interview to Russian news agency RIA Novosti, Maduro accused Trump of organising his killing. He said that he was “aware of Trump’s orders for the Colombian government” and local mafia to carry it out. “If something happens to me one day then Donald Trump and Colombian President Ivan Duque will be responsible for everything that is happening to me,” he said. Maduro however offered no evidence to support the allegation but claimed that Russian President Vladimir Putin was “firmly behind him”. Russia is one of the strongest supporters of the Venezuelan regime, supplying the oil-rich country with loans and weapons.